I don't usually post things like this here, but thought this one was interesting, so I wanted to share it with you all too! In honor of the VISION House's second anniversary at INNOVENTIONS in Epcot, GreenBuilder Media is giving away one 4-day, 3-night Walt Disney World Resort vacation. The exhibit opened on Earth Day in 2012 where the house is set up to highlights the very best in green residential design and sustainable living. During their visit, guests will be able to gain a greater understanding of green design, technology, and products. They will also be able to take home with them a variety of sustainable living ideas that they can then incorporate in their lives. Enter for your chance to win at GreenBuilderMag.com/EarthDayGiveaway2 and good luck! The contest runs until January 25 and you may only enter once. Check the rules for more information and stipulations. 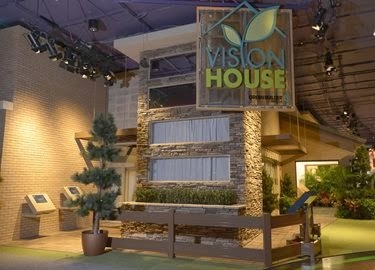 Have you experienced the VISION House yet? What are your thoughts? Let me know in the comments or on Facebook.